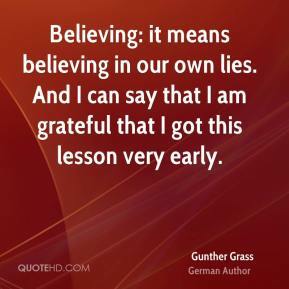 Believing: it means believing in our own lies. 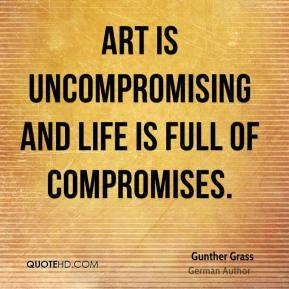 And I can say that I am grateful that I got this lesson very early. 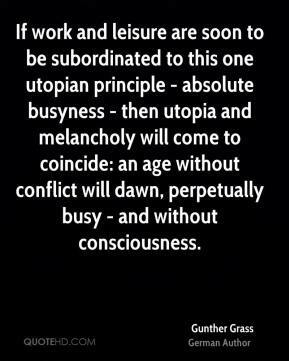 If work and leisure are soon to be subordinated to this one utopian principle - absolute busyness - then utopia and melancholy will come to coincide: an age without conflict will dawn, perpetually busy - and without consciousness. Information networks straddle the world. Nothing remains concealed. 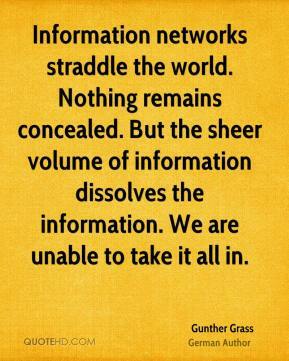 But the sheer volume of information dissolves the information. 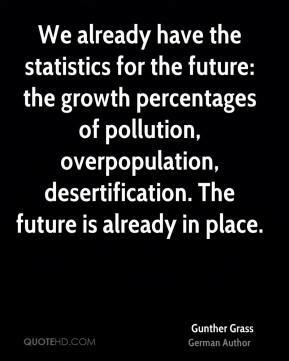 We are unable to take it all in. Melancholy has ceased to be an individual phenomenon, an exception. 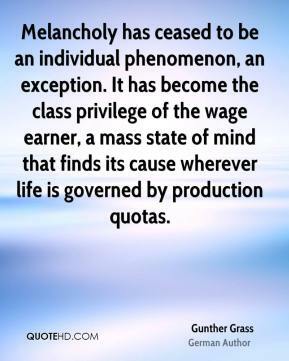 It has become the class privilege of the wage earner, a mass state of mind that finds its cause wherever life is governed by production quotas.